Mrs Manson was appointed by a senior members' appointment panel on Friday 14 September 2008 and will take up her role following the retirement of Chief Executive, Steve Barron. Donna started her career teaching in areas of deprivation and has a real passion for reducing inequalities for families. She worked in Education in Edinburgh and Fife before going into her current post with the Scottish Borders Council, where she has gained extensive experience of all Council areas and working with partners as a Corporate Director. Donna says: "I am delighted to have the opportunity to serve the public in the Highlands and one of my main priorities is to focus on retaining the talent of our people in their local communities by creating local learning and training opportunities linked to jobs, housing and high quality Council services. "I am ambitious that the Council is a strong and visible presence in local areas and viewed to be playing a positive and productive role, working with local businesses, partners and the public for the benefit of both local people and visitors to the Highlands. I am confident that the Council can thrive and overcome the challenging budget times and I look forward to being out in communities with staff, listening to people within their local area and working together on matters that are important to them." 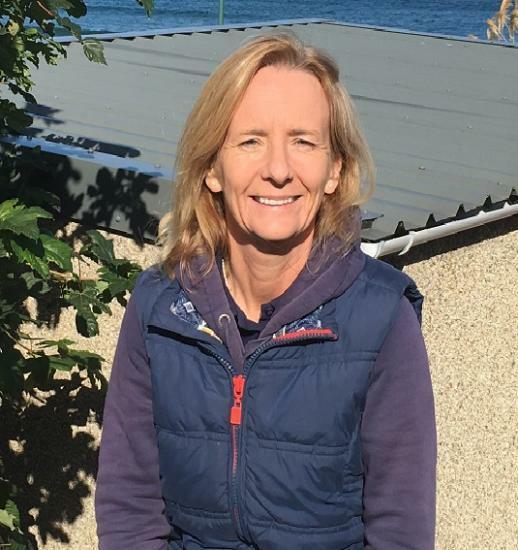 Donna has been a regular visitor to all areas in the Highlands for over 30 years as a sailor and hill walker, and when visiting family in Thurso and Inverness with her husband Drew who is from Thurso. She has a grown up son, Andrew. She is fiercely proud of her Highlands family identity, recognising the importance of culture, heritage and tradition in communities. She is delighted to be ‘'bringing the family home to their roots" and having the opportunity to be working and living in the Highlands. She went on to say: "It is a real honour and privilege to have the opportunity to serve the Highlands with the staff team of Highland Council. This really is a once in a lifetime job in the most amazing place that is the Highlands and so much part of my family." A new partnership is being introduced in Lairg on Monday (17 October 2011) when the public will be able to source advice and information on police and Council matters from under the one roof. The Highland Council is moving its Service Point from New Buildings, Main Street into the Northern Constabulary office on the same street. Highland consumers are being 'cold called' at home with the promise of free household alarm systems. However, the offer may sound too good to be true and Highland Council Trading Standards Service are warning householders to be on their guard.